Tomsk Polytechnic University has enrolled 944 people within the first admission wave. They are applicants enrolled in on budgetary basis according to the general admission policy. Orders for admission are published on www.abiturient.tpu.ru . ‘Today we enrolled in 80% of entrants on budgetary basis in the frame of master’s and specialist’s programs. Within the second wave more than 20% will be enrolled. 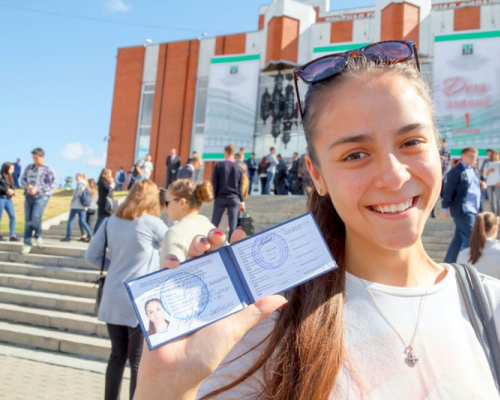 These orders will be published on 8 August,’ says Aleksei Vasilyev, Executive Secretary of TPU Admission Committee, Director of Students Administration Center. Prospective international students continue applying to Tomsk Polytechnic University. According to the Deputy of Tomsk Region Governor for Research and Educational Complex Mikhail Sonkin, 104 foreigners applied to TPU. Currently, applicants from 26 countries have already submitted their documents to the University. Most of them are from China, Mongolia and Vietnam. The most popular bachelor’s degree programs are Mechanical Engineering and Oil & Gas Studies. Master’s programs Management in Technical Systems, Mechanical Engineering and Materials Science and Technology of Materials received the largest number of applications.